I’ve been on the hunt for a romper since they started being acceptable for adults to wear again. They were a childhood favorite, but as I started the hunt for one I found that dressing them on an woman’s body is very different then a girl’s…imagine that. The one piece suite necessitates that your top and bottom are similar in size, and that your torso is an average length to keep from getting that dreaded wedgie. After a few dozen very bad misses and one dressing room panic when I couldn’t get out of the unitard-like piece, I landed in Loft and found this sweet romper. I loved the pattern, texture and cut right away but to my surprise the fit was great! I broke it out at my Memaw’s birthday last weekend and decided to pair it with this neon statement necklace to add a punch of Summer. This necklace is one on my favorite accessories for the Summer; it is the perfect pop to any outfit! What do you think of Rompers? Please tell me that I’m not the only one who’s had a hard time finding one that actually fits! Hope you have a wonderful Tuesday. Thanks for stopping by! Visiting from the linkup - love the pop of color in your accessories! And what a gorgeous backdrop! Such a cute romper! Perfect cut and print on you. I am loving the romper trend too, but I have yet to find one that fits my right! Maybe I should try Loft...Yours is precious! I love the romper trend, but totally agree that the fit can be difficult. This one looks great on you! 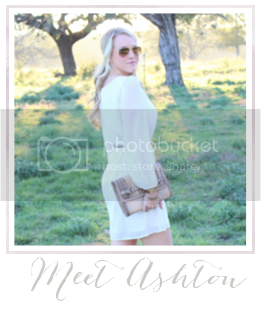 I love rompers for summer and this one is a great one on you! Looks great. Happy to hop over to your blog from the Trend-Spin Link-Up! What a gorgeous romper! Love the pops of color you've incorporated!! Adorable! So chic but looks like you are comfy too. I love this romper on you! The print and fit are perfect. Very Nice. Stopping by from the link up. The romper is so pretty on you, and I love your necklace. I've been afraid to try rompers since I'm tall - I think I'd have a hard time finding one that fit right! This is the prettiest romper, it looks amazing on you!